I’ve been hard at work on Alex (The Skulls) latest book and I do hope to have him finished soon. He’s been a complex character to write but he’s one that does deserve his own story. I want to say a big thank you to all of your lovely kind words for Alpha Bully. Several of you have asked about Jack and if I’ll do a story for him. I really don’t know. I hadn’t thought of it but I certainly will consider it for future. Anyway, I want to show off my love new cover for my nest release. Elijah (if you don’t remember him) made an appearance in Fear the Boss and The Scarred One. This is his book, releasing February 4th. Elijah is a dangerous man. He deals with the Deadly Duet in between raising his teenage daughter. One night he’s called to a warehouse where a special gift awaits him. She’s blonde, beautiful, and a survivor. He gives her an ultimatum. She can come with him and live or he’ll kill her now. In the wrong place at the wrong time Cherry has no desire to die. She sees a lifeline in Elijah and would rather go with him than risk an even worse fate. Once in his world, Cherry sees a whole new side to the deadly man. Their relationship takes a sudden turn. She becomes Elijah’s in every sense of the word. Passion drives them, need fuels them, but neither of them could have prepared for the change in their lives. 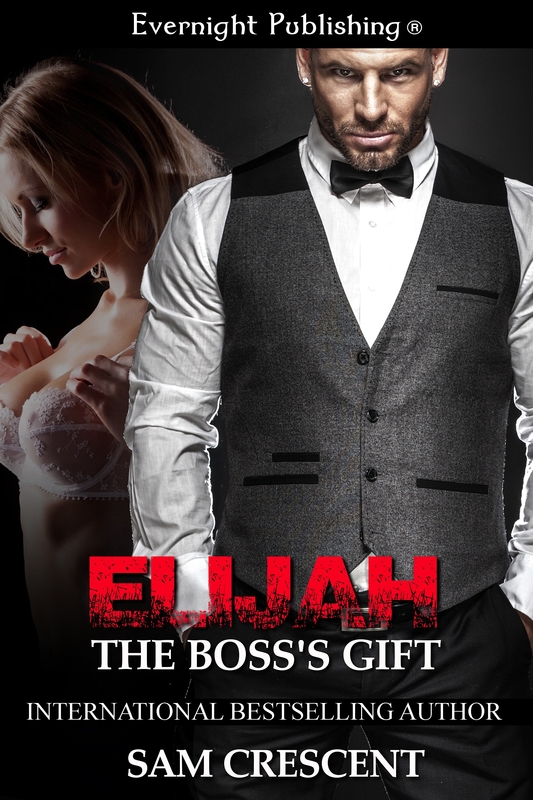 However, Elijah’s gift is about to be taken from him. Someone wants his crown and if taking Cherry from him gets what they want, they’ll do exactly that. It’s a race against time to save the woman he loves.